Winning selfie: Jela Ivankovic-Waters, Janis Fisher and Emma Appleton, “surfin chicks” of Merri Station. 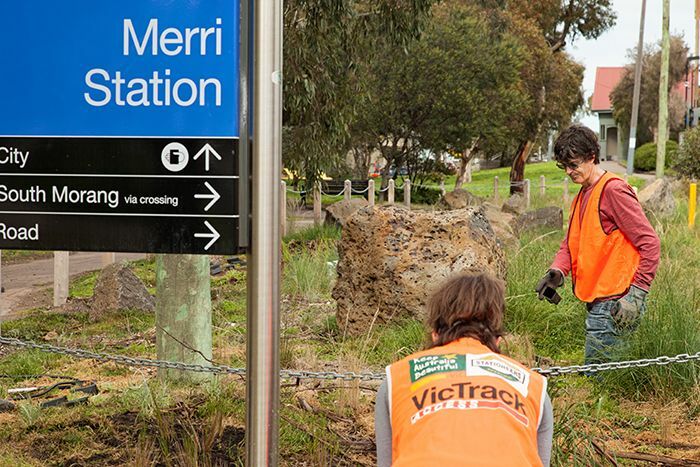 Selfie competition winners, the Merri Stationeers, are grassroots activists in creating better community public space. 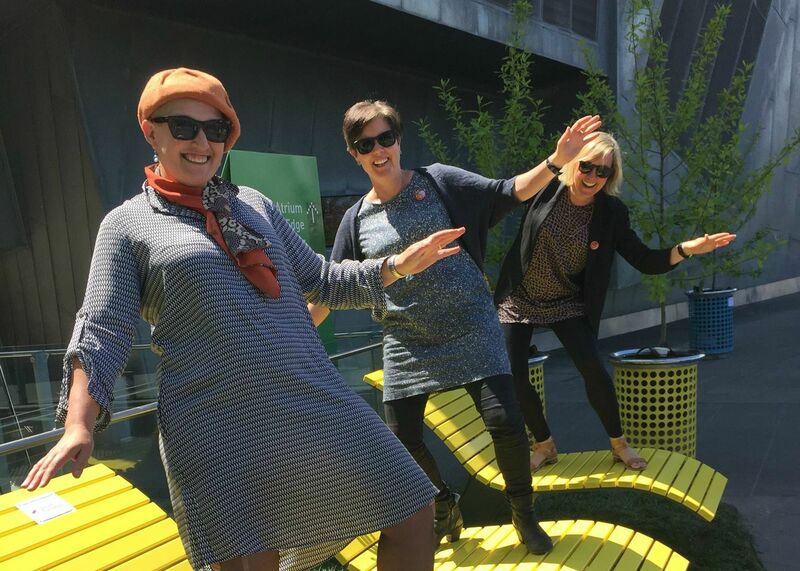 They won three yellow Sun Lounges for their entry, “Surfin chicks,” at This Public Life Festival of Landscape Architecture in Melbourne last year. 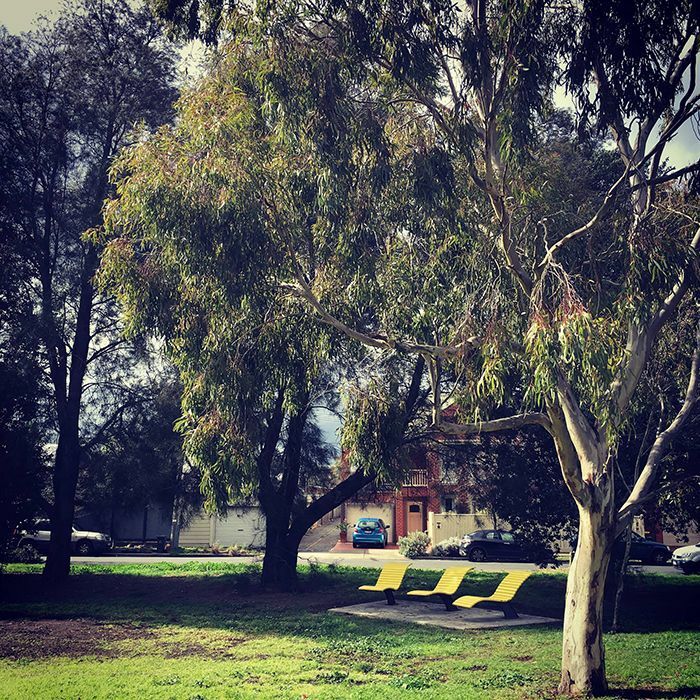 In the lead up to our next festival pop up park (bigger and better than ever for Canberra in 2016) we check in with Jela Ivankovic-Waters to see how their mission is progressing. 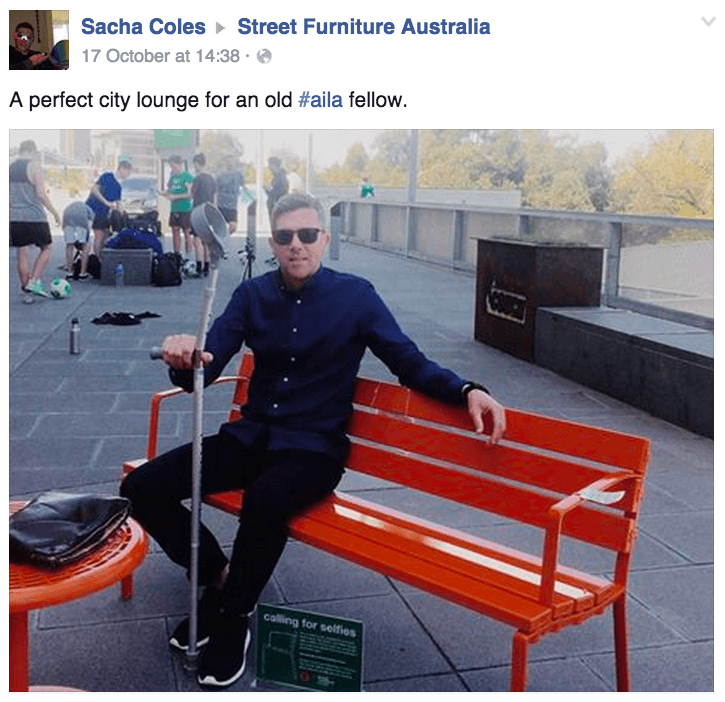 The Stationeers had been looking for seating for their Common in Melbourne’s north-east for more than three years, says Jela, but had not been able to afford furniture to complement their site. “The lounges add a bright spark that reflects the character of the community, not just any old furniture,” she says. “They have been used for gatherings, basking in the sun reading and dozing, a restful place for dog-walkers and kids monkeying around. 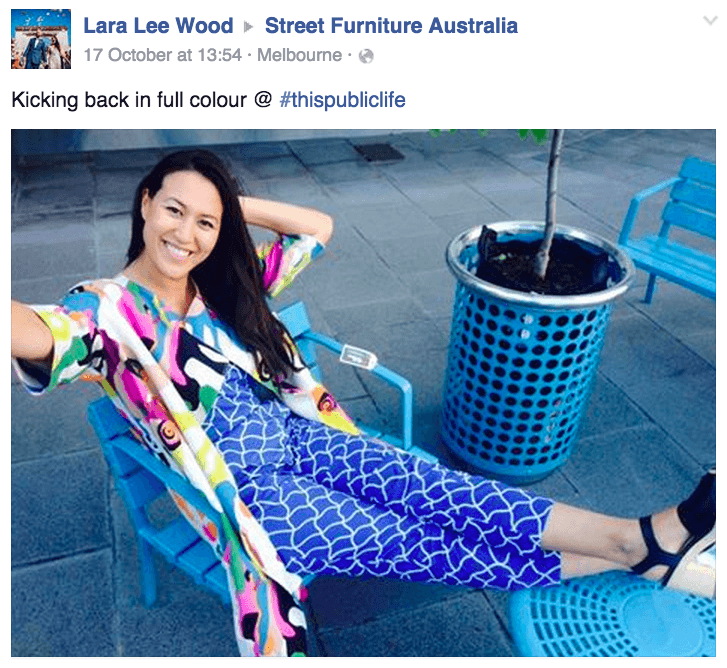 “I was at the AILA conference in Melbourne 2015, when the competition to win a seat was announced. It occurred to me that this would be an ideal opportunity to make my first ever selfie! 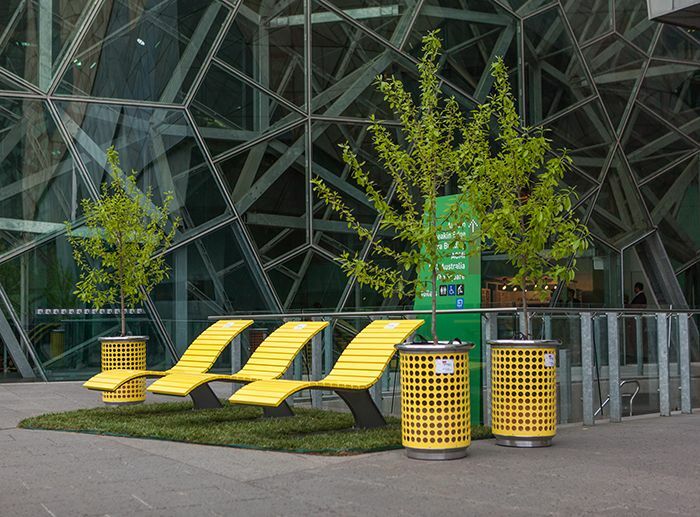 “I pulled in two other landscape architects who live in the neighbourhood to pose as three surfie chicks on the yellow wave-like lounges. One year on: Merri Stationeers with their Sun Lounges. Photo: Marie Contraire Photography. 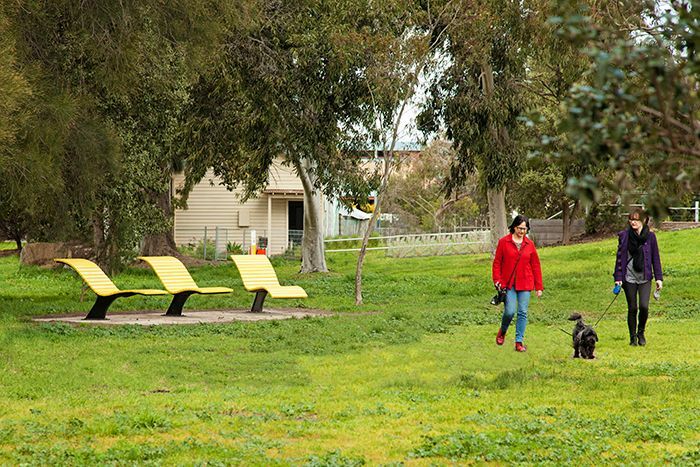 The Sun Lounges were installed by Darebin Council, with approval from Victrack, in a shady area of the Common. “The lounges have been affectionately labelled the Banana Lounges,” says Jela. “Situated amongst tall she oaks and gums, they are positioned in part, dappled shade overlooking an open grass area. 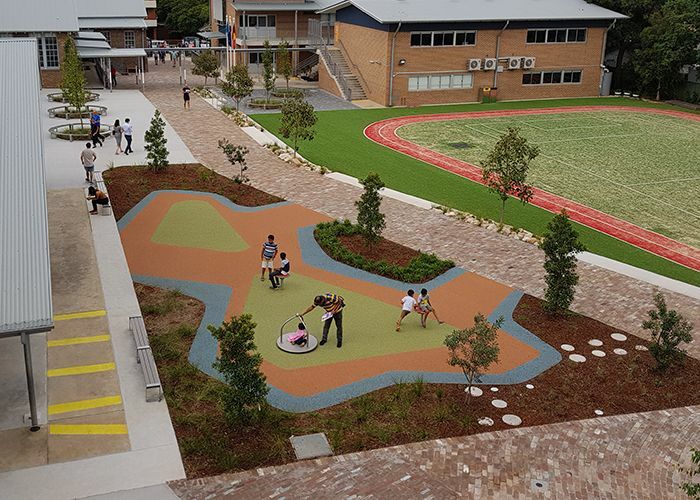 “As the area is used by kids to play soccer, football, cricket and lounging about in, it is a fitting aspect. It is not far from the street, so access and visibility make it safe. The Stationeers began in 2008 as a community action group, with concerns about private developers buying up Common areas around railway stations. 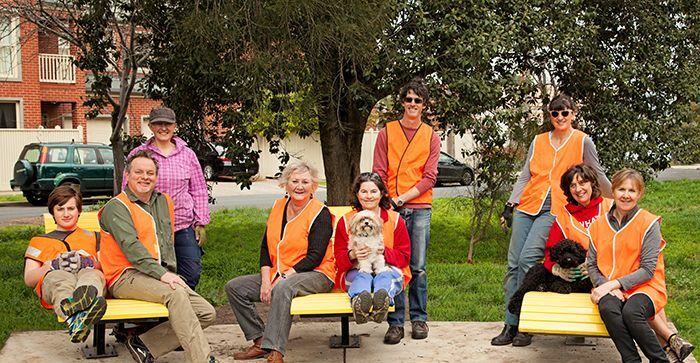 Eight local residents make up the committee, working with Keep Australia Beautiful, Victrack & Metro Trains and supported by Darebin Council, Northcote Rifle Club and a Friends network of more than 150 supporters. 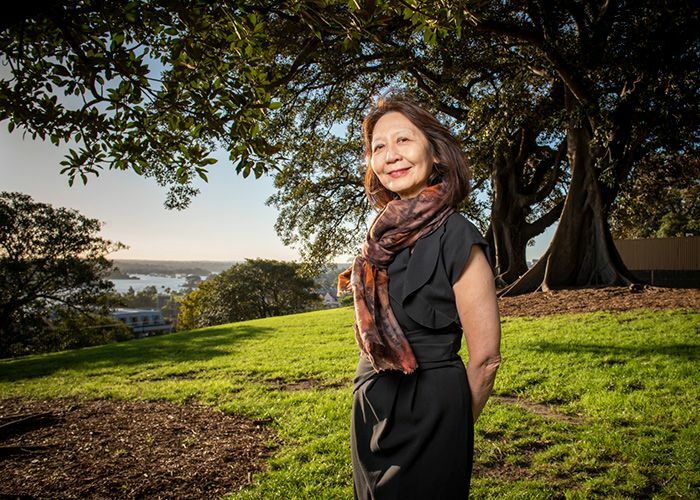 “Our committee members come from a number of professions: teacher, government administrator, artist, landscape architect, botanist, environmental manager, community development manager, HR professional, lawyer and paediatrician,” says Jela. The Stationeers have transformed the Common with shade trees and windbreaks (Allocasuarina verticillate) along exposed areas near the railway platforms. They have replaced crushed rock embankments with lush ground covers (Myoporum parvifoilum, Enchylaena tomentosa) and shapely shrubs (Correa glabra, Atriplex cinerea). Feature specimens of Eucalyptus caesia, E. pulveuelenta, Acer rubrum ‘October Glory,’ Doryanthes and Banksia are planted. An eroded expanse is now a vibrant indigenous grassland with Stipa elegantissima, Themeda traindra, Dianella amoena and Chrysocephalum apiculatum. 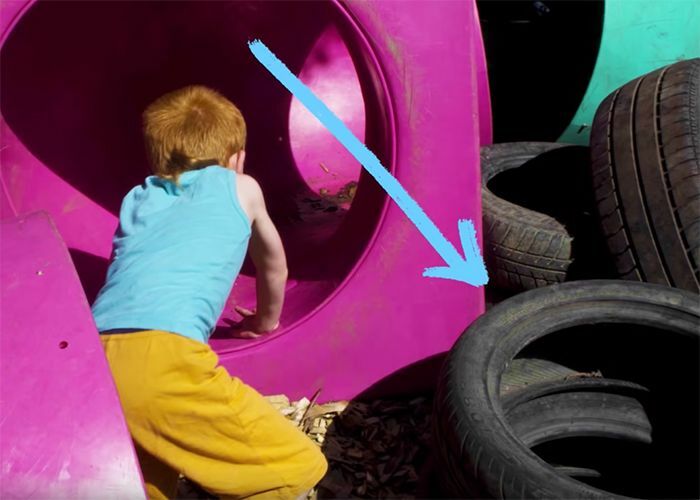 “After an excess dumping of mulch in a neglected patch in a thicket of trees, a BMX track has spontaneously emerged and gradually carved a permanent feature for local kids,” says Jela. 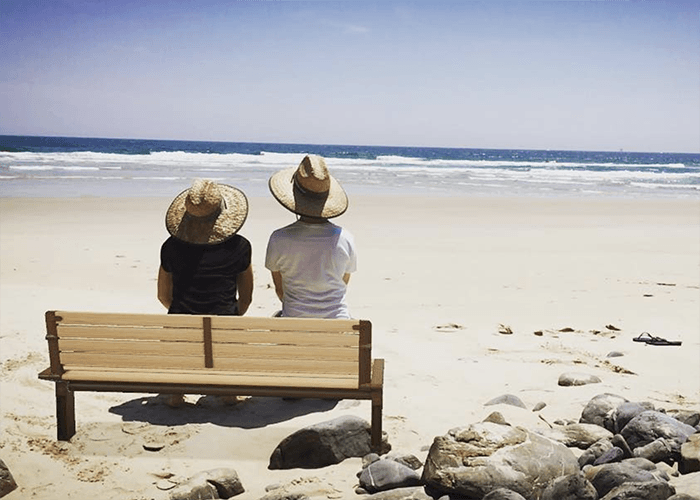 Trained as a horticulturalist amongst “a plethora of amazing plants and geologies” in Western Australia, Jela returned to Melbourne where she established a landscape design and construction business and began studying landscape architecture. Jela says she is able to use her experience to recommend planting types and arrangements to the committee, who also consult with a botanist on the most suitable species to plant for the site’s aspects and fauna. 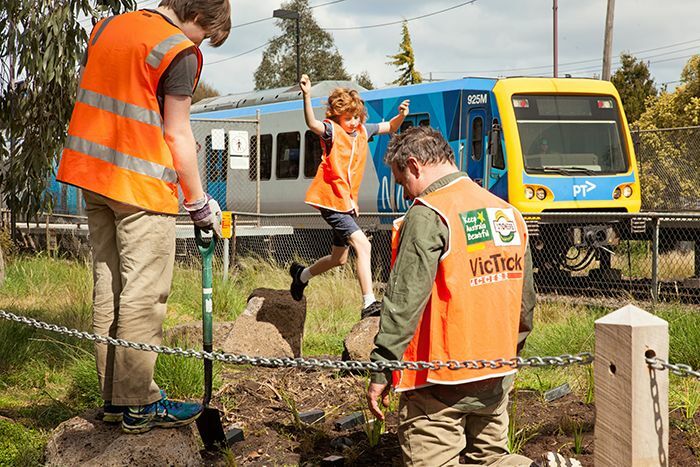 “We are keen to continue planting so we can can create a rich and diverse environment for the community, commuters and fauna,” she says. 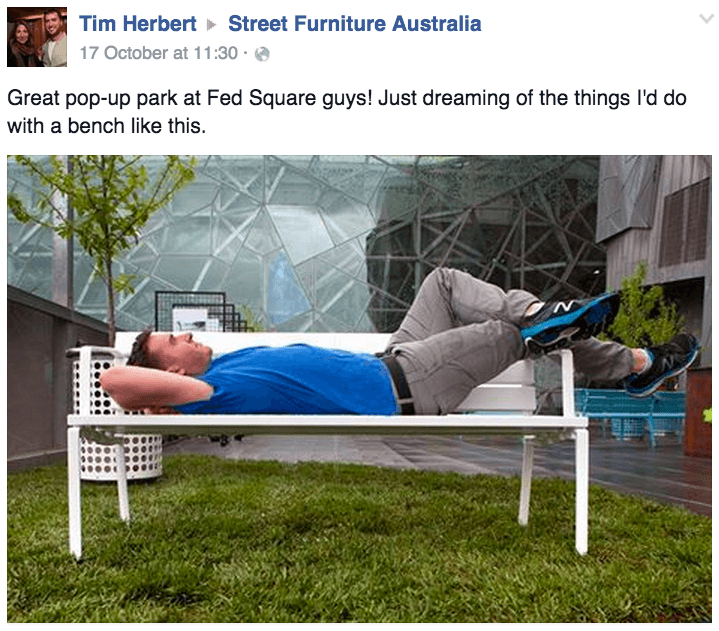 With spring upon us and summer on our heels in Australia, the Mall Sun Lounge is a perfect addition to local parks and community spaces. 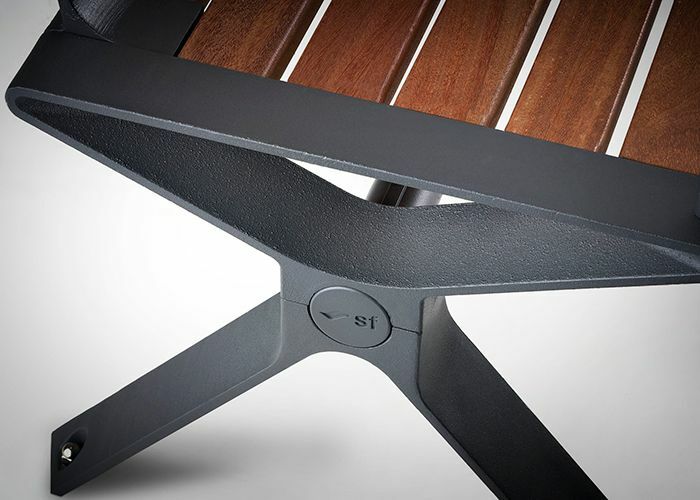 Available in eco-certified hardwood, woodgrain aluminium, anodised aluminium or a range of bright powder-coated summery shades. Stationeers working bee. Photo: Marie Contraire Photography. Beautifying the path to commute. Merri Station. Photo: Marie Contraire Photography. 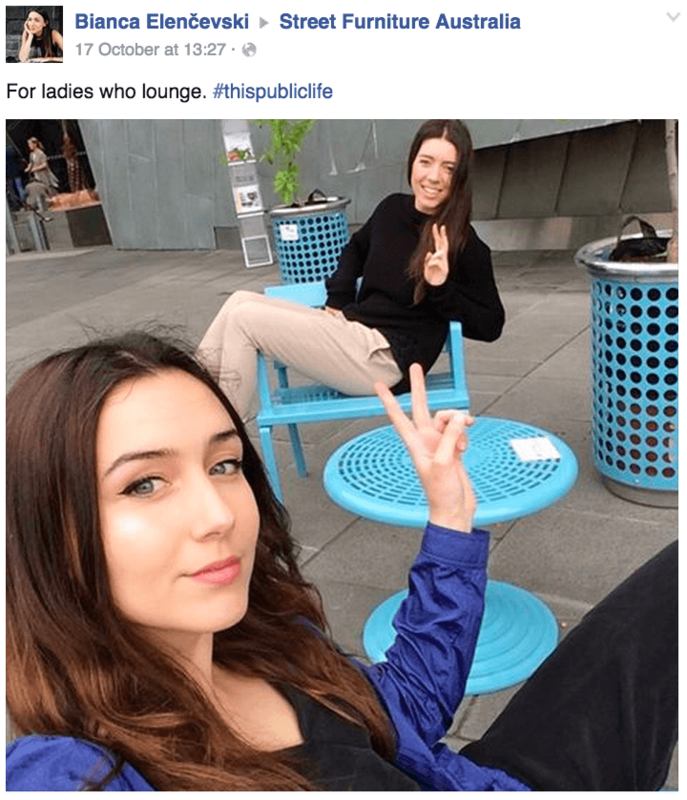 Sun Lounges at the This Public Life pop up park. National Festival of Landscape Architecture, Melbourne, 2015.